Last night the mother of all shows ended. 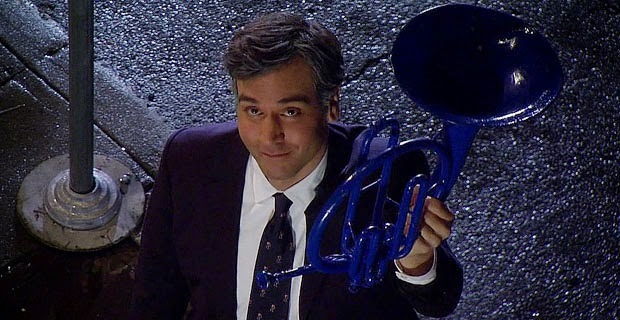 For weeks everybody had been guessing how the finale might play out, hell even I got in on the act (How I Think How I Met Your Mother Will End). Well, last night we got our answers and if your haven't watched stop reading. Or your name is Ghadir, stop reading..... I'm only talking about My Ghadir, the Ghadir I know. If your name is Ghadir and don't know me, read on. "Chill lady,Damn". When I posted this picture on Facebook, who would have thought that this picture would basically be the ending of the show. I mean, it's no way the writers would waste nine years of our lives, just to give us what is just the first episode. Welp, that's just what they did. The gave us what nobody wanted. We didn't want Ted with Robin. But to be fair , "How I Ignored Several Years of Character Development Because I Was Completely Tied to a Now-Nonsensical Ending We Filmed Years Ago, Before Any of Said Character Development Occurred" is a really long name for a TV show. The series finale was painful to watch, it started with the fact that the show was ending. That was the sad part, you started strong, had Barney talking to the mother. Barney runs to Ted and does the little look at me thing they always do. It was awasome. Ted doesn't listen and leaves the wedding. The old lady at the train station was even cool. "Chill lady,damn". Then we got the moment we all been waiting for. Ted meets the mother for the first time. It was.....awasome. The show should have ended right there. Right there, under that umbrella. Under that yellow umbrella. 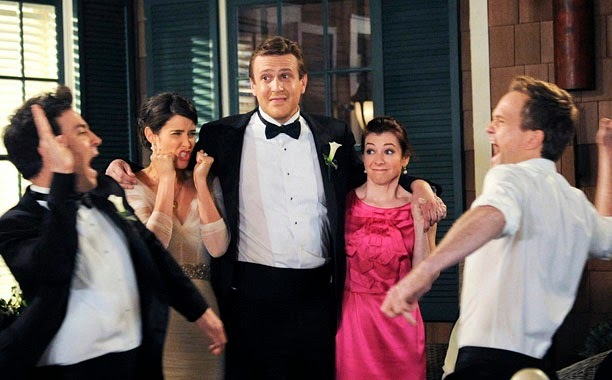 Barney and Robin's wedding has been built up for three seasons, leading us to believe that they were ultimately going to end up together. We grew to love the new Barney, the romantic one who went out of his way for Robin, you even dedicated whole god forsaken season to their wedding, all to tear it down in the span of 42 minutes. We grew to love the new Robin, the one who was willing to give up her job for the sake of relationship, but again in 42 minutes, 9 years of character development... GONE. She's right back at the beginning? Was this poetic or pure laziness? 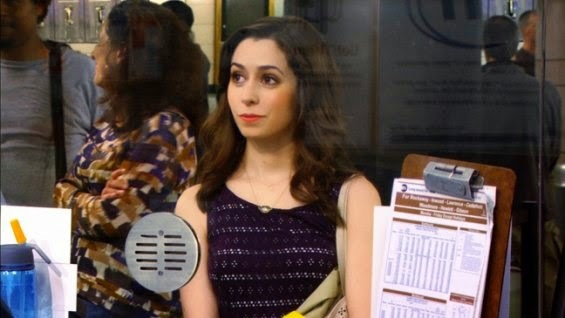 Ted and the Mother's dynamic was one I think we've all looked forward to for years, as we got hints of her throughout the series... A mysterious beautiful woman that was made for Ted, they were meant to grow old and have a beautiful family. The flashforwards this season were great, but why not just have a full season revolving around their relationship, not one that was doomed to fail after three years? As for the Mother's death? Sure, I'm fine with that, it was sweet how that played out. Plus we all kinda thought that was going to happen. BUT its what you did next that killed me. TED AND ROBIN?! Really? Could you be that lazy to bring the show back to the very plot that started it? That's not romantic, its stupid. It tears down every episode, every girl, every relationship that both Ted and Robin had throughout the series! Its a complete and utter insult to both the characters and the fans, to fall back on a relationship that YOU said would never work out (see Something Blue and No Pressure). Ted telling this story to his kids, only for them to decide that "Oh, Dad I get it. You were never in love with Mom, you just wanted to get with Robin", thats just terrible writing. And if you really knew the characters that you created, you would know that after 25 years, Robin would never accept being Ted's second choice. Come on, I really expected more. That being said, there were some slightly redeeming parts, with (although it came about a stupid way) Barney's child, and the fact that Marshall and Lily stayed together. BUT that doesn't make up for the atrocities you committed upon my eyes tonight. I have loved this show for the past years, I learned to love the characters, they helped me in hard times of my own, created great new inside jokes with my friends, made me look forward to Monday for God's sakes, I just can't believe it ended this way.